Tadhg Beirne is in line for his Six Nations debut after Iain Henderson was ruled out of Saturday's visit to Wales with a knee injury. The Kildare native spent two seasons playing for Scarlets before joining Munster last summer and Ireland will hope his familiarity with Saturday's opponents proves valuable as they bid to stop Warren Gatland's men from winning the Grand Slam. It is understood that Henderson picked up the injury against France last weekend and is now a concern for Ulster who face Leinster in the Heineken Champions Cup quarter-final in just over two weeks' time. If selected, Beirne will win his fifth cap and will become the sixth second-row Joe Schmidt has used in this year's tournament as he links up with James Ryan for the first time. 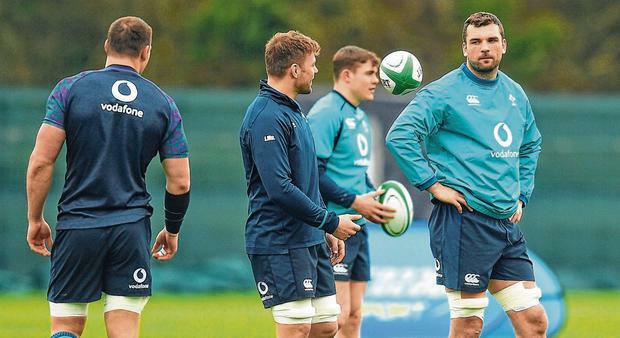 Rob Kearney is expected to return to the full-back slot after withdrawing from the win over France with a calf problem if he comes through this morning's training session, while Seán O'Brien could replace the injured Josh van der Flier despite Dan Leavy's return to fitness. Having come off the bench against England and started the wins over Scotland and Italy, O'Brien was dropped for the France clash but his superior amount of game-time could see him restored to face Gatland for the first time since he criticised the coach's handling of the Lions series in New Zealand. Otherwise, Ireland are expected to be unchanged, with Keith Earls and Jacob Stockdale on the wings, Bundee Aki and Garry Ringrose in midfield and Johnny Sexton and Conor Murray at half-back. Up front, Cian Healy and Tadhg Furlong join skipper Rory Best for his final Six Nations game, with O'Brien joining Peter O'Mahony and CJ Stander in the back-row. It remains to be seen if Leavy can dislodge the in-form Jack Conan from the bench. Liam Williams is Gatland's chief concern as he also prepares to name his side today.